BEWARE! This is an expert-only project because the high power supply voltage, about 900V. Be careful, it can kill you! Keep always one hand (better if it is the left hand) behind your back. This project is born to be simple and secure but with high electrical performances and great sonic results. The sound quality has been obtain using the best components on the market and a good circuit. All the test on first version confirm a very sonic high performances and I consider it like one of my best amplifiers. The use of normal diode bridge instead of common vacuum tube diodes give a many advantages and the sound is always good. This project use only common vacuum tube in current production because I don't like old stock items difficult to find and with short life time. high sensibility, so to use this amp. with any source also without a preamp. Lundahl is one of the world´s leading manufacturer of audio transformers used in many professional studio recording and radio stations so it has great experience and all these products use a custom audio C-core. About passive components types, I don't leave many choices: Caddock resistances on the signal path, Sanyo OS-CON capacitors on cathode and Jensen AudioGrade electrolytc capacitors on power supply. You can find many components of this project at Audiokit online shop. I am using a DACT stepper attenuator instead of the normal ALPS or NOBLE solution, because the the sound is clearer. The Custom R-core has been custom design with 2 secondaries 6.3V 5A necessary only if you want to use the SV572-3 instead of the 845. 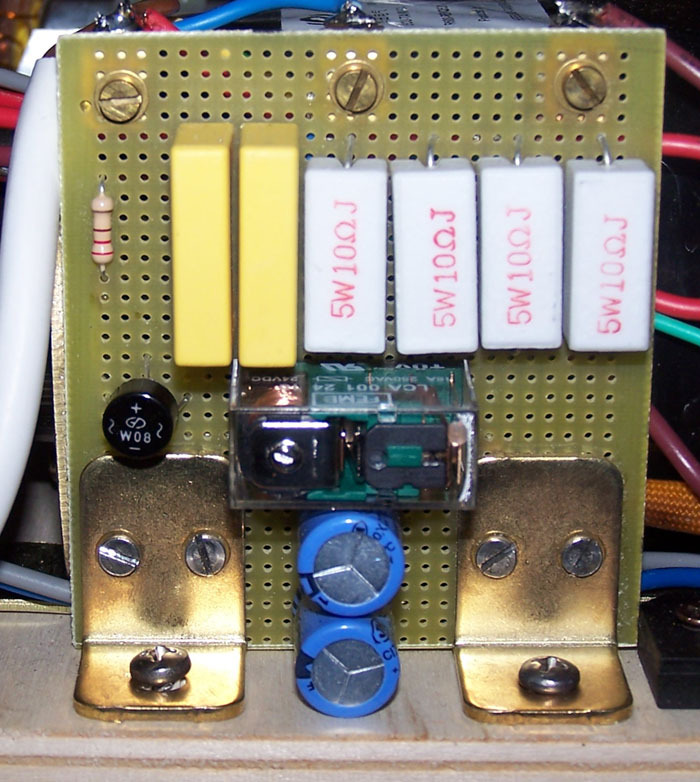 I have used the model 9506 with WVDC (Working Voltage Direct Current ) of 5000V for all the main power supply connections, the model 9504 for the signal and the model 9510 for the output loudspeaker connections. All the wires near the tube socket have been cover by Sterling tubes in order to avoid that the high temperature will destroy them. As visible in the photos to fix some components I have used some good PTFE Insulated Twist Eye Terminals by Grennan Audio. 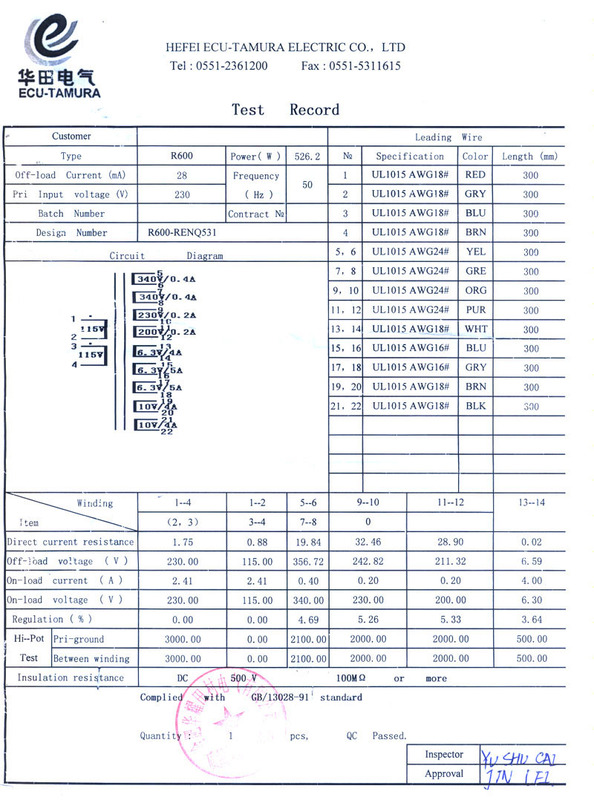 After my big experience with the cables published on "Cable test" I can assert that the quality of cables is very important. Here are some plots generated with my Clio system by Audiomatica. With a driver stage of this type (107Vrms with only 0.18% THD) I expected a great performace. The distortion spectrum is perfect driving with this amp. a 5 ohm load until 11-17W and the output impedance is less than 1.5 ohm. So the result is a perfect amp. 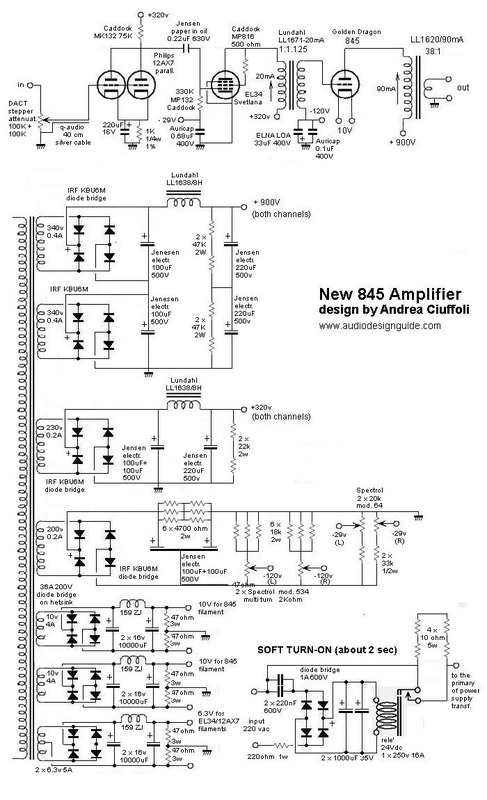 and I am sure there are very few 845 amp. around with this performances.